"Young Ape 1," by Franco Salmoiraghi, a black-and-white silver print. FIVE artists depict the beauty of plant life in Gallery Iolani's "TAKE-5 with Nature" art exhibit, running through Nov. 30. 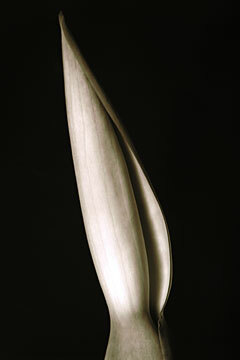 Joan Dubanoski, Linda Hutchinson and Jean Gallagher grace the space with paintings of vibrant flora and elegant tropical plants, while Franco Salmoiraghi's dramatic black-and-white photography and Richard Sheeler's metalwork round out the show. Gallery Iolani is located on the Windward Community College campus in Kaneohe, in the main lobby adjacent to Paliku Theatre. Gallery hours are 1 to 5 p.m. Tuesdays to Fridays and Sundays. Call 236-9155. 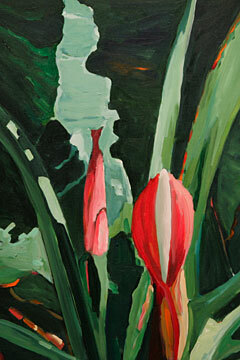 "Angel Trumpet," by Joan Dubanoski, a pigment-based oil on canvas, is part of the "TAKE-5 with Nature" art exhibit at Gallery Iolani at Windward Community College. 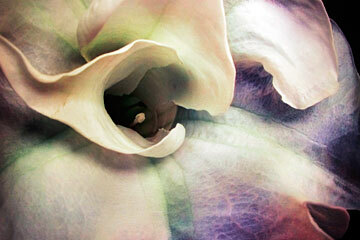 Linda Hutchinson's "Pink Bloom," is an acrylic on canvas. 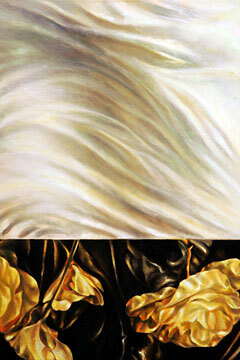 "Suspended," by Jean Gallagher, is an oil on canvas. 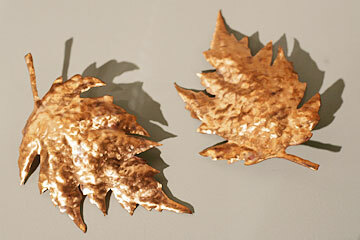 Richard Sheeler's copper leaves, titled "Sycamore," embellish this page.